Worried about a possible break-in? Put fears to rest with these top tips that enhance garage door security. When you neglect garage door maintenance, you become the worst enemy of your own safety since the mechanism must be well maintained to protect you properly. It won’t take much of your time, if you troubleshoot the system once a month and fix the problems immediately. How green are you? It’s fashionable, it’s good for the planet, it gives you the chance to have better garage doors and it’s a gift to your house. It’s time for green products, green conscience and green wallets. Insulated aluminum overhead doors are an excellent option these days. 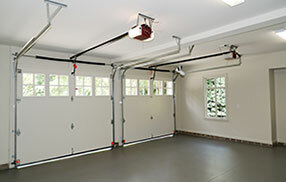 When you clean up your garage door, you must remember to lubricate all the mechanical garage door parts to allow the door a smooth sliding movement. It’s better to get your supplies from Garage Door Repair Queens in order to be sure you get the right lubricants. What must I watch out before I replace my garage door? Various factors determine your decision apart from the aesthetic part, which is personal. You must focus to the current and future needs of your family. 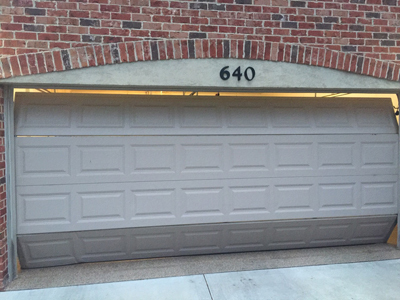 Is there a chance you might need a larger garage door to fit more cars tomorrow? Garage Door Repair queens recommends thinking matters over thoroughly because new garage door installation doesn't happen every day. The material would depend on your pocket and weather conditions of your location. The higher R-value means that the door has better insulating properties. That way, it will make your entire home more energy efficient while doing a better job in protecting your car from the elements. The higher investment is definitely worth making. Open the door and place a 1-½” piece of wood at the door’s center floor. Close the door using the clicker. The door should reverse when it hits the wood. If not, then you need to have a garage door repair or a replacement done immediately.